Roy was very prompt and professional. I would recommend this company service to others. Precision Service of Macon provided an excellent and professional technician to repair my garage door. The company was very responsive to my call. Technician Roy Amerine identified the problem and made recommended solutions that corrected the problem. Excellent service. Chasen did a great job. I needed new springs, cables, rollers, and bars replaced on two garage doors. Now the doors work like new. We have used Precision before and was pleased with the work. We called them and same day service was fantastic. Roy has been our tech both times, i recommend the company and this tech. Thanks for great service! Roy came out on Saturday night to fix my hung door that wouldn't close manually. Experienced and professional, fixed it with a smile. Thanks! For the end result, I rate the repair as a 5-star. A completely professional job, completed by a very competent service representative. The job was more than anticipated in the beginning but disclosures made during the initial job evaluation made it imperative that the complete rebuild would be required. The door operates much better and we are thankful that the repair job was accomplished by a Roy, a very competent service representative. The full repair package was purchased rather than just a single item as indicated on the tab below. Very satisfied with the service I received. Roy was very professional and process great customer service skill. I saw your ad and looked no further. Roy was ready on the spot to repair ALL the worn out hardware above my garage door. Roy was kind, courteous, sooo efficient, and so knowledgeable in answering and explaining any questions, concerns, or anything I needed help with. He went the extra mile with small requests I had and with other items he could take care of. I wish this company and these folks could fix everything else in my house that needs repairing! A PLEASURE ALL THE WAY AROUND! THANK YOU! Our initial appointment was to repair an existing garage door opener about 8 years old. Roy called before arriving and was ahead of schedule. He was friendly and professional as he explained the problems and potential causes of failure of our current opener. Roy provided alternative solutions and based on the cost to repair a fairly old system, we choose a new Liftmaster 8550W with a lifetime warranty (motor & belt), battery backup, and other features we previously did not have. Installation was fast, operates with ease and is much faster and quieter. Informative website with pictures/descriptions of employees played a huge part in my decision to call. Effective digital communications and even a Thank You email from the owner, thanks Tim! Highly recommended, Thanks again Roy and Precision Garage Door of Macon! Roy did an outstanding job informing me of my options and the products. He also was outstanding in training me and my wife on how to operate the system. He is an excellent representative of your company. The technician arrived on time and was very professional and knowledgeable. He did a great job with my garage spring repair and reinforcement of the door. 5 stars ??. I will use this company over and over again. Thanks for a job well done. Roy Amerine came out to repair two garage doors for me. He was on time, courteous and it was obvious he knew what he was doing. I will definitely call Precision Door Macon for future repairs. Roy was very knowledgeable, personable and with great customer service. I will definately be uding/recommending this company to others that may need garage door repair/service. I am upgrading my old and worn out garage doors and openers. I was very pleased with Roy, the technician, he was very cordial and professional. Watching him install my new opener and drive it was apparent that he was knowledgeable about what he was doing. He worked quickly and efficiently while insuring that everything was right. He answered all my questions and insured that I was happy with the job. I would highly recommend Roy and Precision Doors! I was very happy with the service I received from Precision. We ended up having to replace our opener and Roy gave us a good price and was very professional. I really like the website and the fact that you can see who your service person will be. The person on the phone was very nice while scheduling my appt. Roy was here on time and really did a great job with the install. I did not feel pressured at all to buy or upgrade anything I did not need. I hope they will stay on the Trust Dale website for a long time! Complete rebuild of my garage door. Excellent service and the door works better than new. The tech, Chase, was easy to work with, explained in detail what was wrong and how to fix the problem. Very efficient and knew what he was doing. Couldn't be any more pleased!! Precision rep did a great job. Roy is awesome. He was professionally patient and knowledgeable while walking me through our garage door system and overall repair process. Recommend new parts where necessary and preventative maintenance to save cost through the life of our system. Wish we would have called sooner! We were so glad we called Precision to do all the work on the installation of our garage door the young technician is so professional and did the work so well .We will be recommending you to our friends and relatives .Great job. 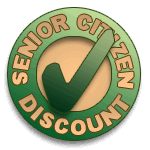 Roy was very helpful and knowledgeable with garage door openers. After reviewing our old broken unit, we were given a few options to consider. The original quote that was given over the phone was exactly what he would have delivered, but we decided to upgrade the new unit to include a 4 year manufacturer's warranty, 2 remotes, a keypad controller, and wifi capabilities to use your smart device to open, close, and monitor these actions by receiving an alert on your phone. He didn't take long to replace the broken unit, install a new chain and bar, and give us the proper training on how to use the unit. Roy really does love his job and he takes pride in delivering the best customer service you could ask for. 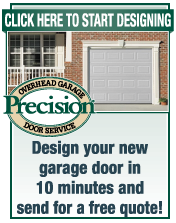 I'd recommend Precision Garage Doors for all of your garage opener needs.